Extended Wait For The Artificial Implantable Kidney Human Trials: Researchers Reveal Why. Many Chronic Kidney Disease patients have emailed and asked KidneyBuzz.com why the Human Trials have not yet begun for the Artificial Implantable Kidney. After outreaching out to the Research Team and talking with individuals familiar with the situation we can offer some useful insights and important new information for those following the development of the device. Extended Wait For The Artificial Implantable Kidney Human Trials: Researchers Reveal Why. Is It Worth It? Many Chronic Kidney Disease patients have emailed and asked KidneyBuzz.com why the Human Trials have not yet begun for the Artificial Implantable Kidney. After outreaching to the Research Team and talking with individuals familiar with the situation we can offer some useful insights and important new information for those following the development of the device. 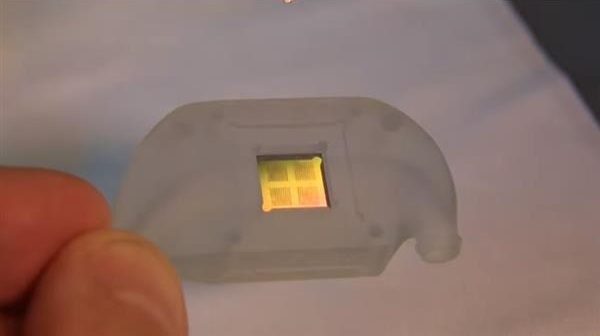 The Artificial Implantable Kidney Team announced that they submitted a Human Trial Application in Fall 2017 to the Research Ethics Boards at the University of California San Fransico and Vanderbilt University. Formally known as Institutional Review Boards (IRBs), the Research Ethics Boards are comprised of members who review the methods proposed for all Human Trials to ensure that the trials are conducted safely and ethically. The Institutional Review Boards approval is critically important since it ensures that appropriate steps are taken to protect the rights and welfare of Chronic Kidney Disease and Dialysis patients participating as subjects in the research study. 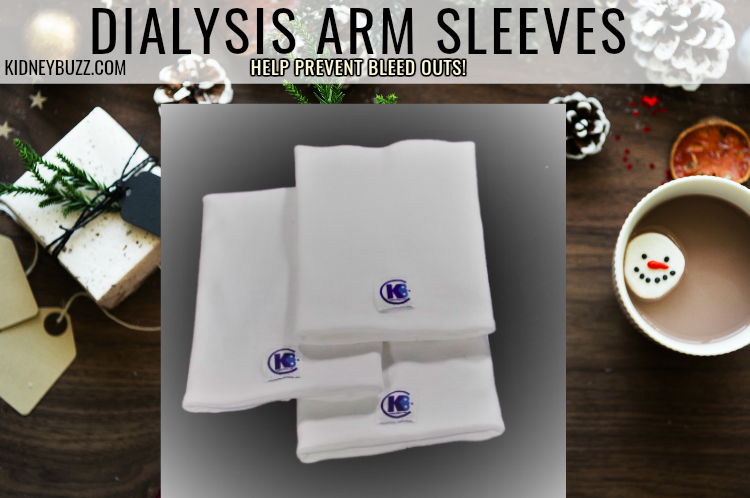 REQUEST YOUR SET OF SLEEVES TODAY! Unfortunately, the Artificial Implantable Kidney Team received feedback from each IRB requesting "clarification, including additional details on the preclinical work, post-procedure monitoring of enrolled patients, and modifications to various forms." Now the Team is compiling responses and expected to re-submit revised protocols shortly. The good news is that the Research Team does believe that the members of the Institutional Review Boards for both the University of California San Fransico and Vanderbilt University, "recognize the compelling need for the [Artificial Implantable Kidney] and that they will be working with us to move into Human Testing," according to a Team Member familiar with the situation. Derek Brightman: "Although I am just as anxious as the other kidney patients to see this device to be released to the public, I appreciate that you are not taking shortcuts that would undermine the safety and long-term success of the device. Would it be possible to share the testing roadmap? It would help the patients to keep hopeful and to be...patient." Ada DiCecco: "Prayers to all....it will happen soon...."
Bryan Gooding: "I hope that this doesn't become a project that gets put on the back burner because of lobbying or political reasons. They ask that you do the work, you do the work, then they come up with some new hoops for you to jump through, meanwhile, no real progress is made. More people need to know about this life-changing project. Be vocal in every aspect of your life. I know I'm doing my part. Godspeed!!" Donald Brixby: "Is this ever going to get started!?" Debbie Hartnell-Ward: "The Kidney Project - you’re doing an amazing job." Are you still excited about the upcoming Human Trials? To keep up with latest about the Artificial Implantable Kidney visit KidneyBuzz.com every day and bookmark us on your phone, laptop, and tablet! Also, share this article far and wide so that others can learn the latest about the Artificial Implantable Kidney and other breakthroughs. Share your thoughts and insights with the over 70,000 Friends who have liked KidneyBuzz.com on Facebook (click here). Also, follow the over 250,000+ monthly viewers who visit KidneyBuzz.com regularly for the latest daily news and information which teach those with Chronic Kidney Disease, Dialysis, Kidney Transplant, Diabetes, and Hypertension how to better manage and improve their lives. Erica Ashley Jenkins (Dialysis Nurse) said, "Hello I just wanted to let you know I work in a dialysis clinic and over half of our clinic reads this page, we enjoy everything you put on and love to have new information. My patients are very grateful."